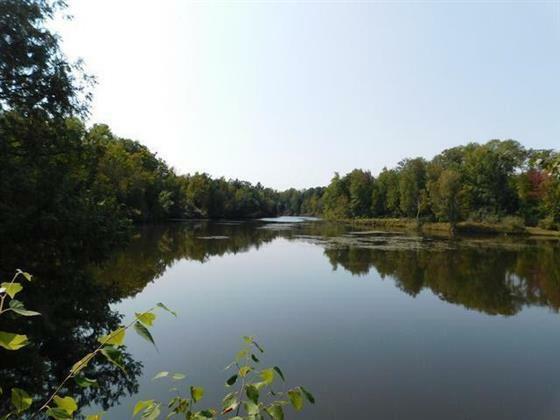 Check out this beautiful parcel on Smallwood Lake! Rare opportunity for woods & water! Enjoy 5.8 acres of beautiful woods featuring maples and white pines and some poplar and more. 325' of Smallwood Lake waterfront makes this the perfect parcel for those who enjoy the outdoors. Located on a quieter section of the water you can enjoy nature, fish or head towards the main water and see the other boaters! Jet ski, tube or jump in the deep water and enjoy the all sports 350 acre lake. Many wildlife call this parcel home, enjoy hunting deer or small game. State land nearby and with 85,000 acres of state land you surely can explore til your hearts content. ORV use is allowed on the road edge and there are dedicated trails for ORV and snowmobiles. Contact Sonya Loose of Modern Realty for questions. Sonya Loose What a rare find! Does this lot offer year 'round occupancy or is it for periodic vacations? Either way, you are sure to be soon announcing it as pending! Looks like a great listing! Congratulations and I hope you get an offer soon! Hi Sonya, Congratulations on your beautiful new listing. This is the perfect opportunity for an outdoor enthusiast. I am sure you will find a buyer soon. Congratulations on your new listing. Nice property and nice job with your presentation. Sonya Loose congratulations on this listing, I hope the right Buyer comes along quickly. See More Blog PostsAbout Real Estate! SEE MORE NOW! What's the reason you're reporting this blog entry? Are you sure you want to report this blog entry as spam? New Listing! 4 Bedroom 3 Bath Home with Acreage! New and Beautiful Listing! Waterfront Home on Wixom Lake! Find MI real estate agents and Beaverton real estate on ActiveRain.